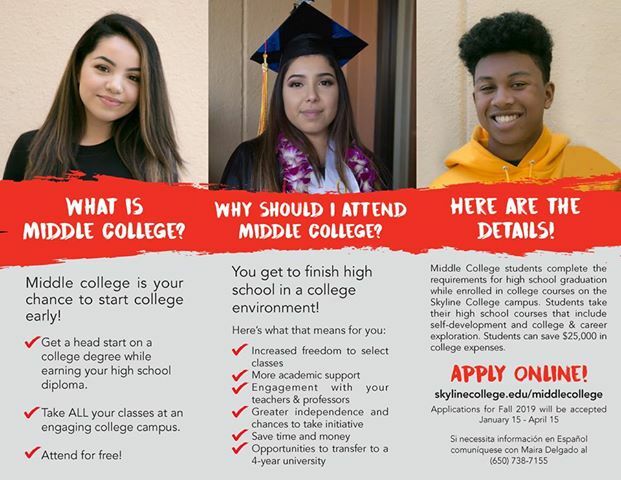 Middle College at Skyline College is now accepting applications for the 2019-2010 school year. 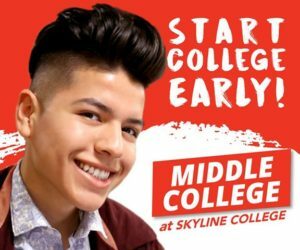 Middle College is an exciting alternative to the traditional high school. Our education program is offered by the South San Francisco Unified School District in collaboration with Skyline College that provides high school students with an exciting and challenging learning environment where they can take control of their own education, complete high school graduation, and begin accumulating college credits.